In 1961 the Ministry for Light Industry received the order to develop a new ‘aviator’s watch’ for the People’s Liberation Army Air Force. This was designated Project 304. Around this time a seconds-only chronograph version of the ST-2A was prototyped, but it did not enter production until 1963. Attraction. It’s one of those immutable laws of nature. You don’t know why it happens or why it hits you but when it happens, you know you’re in love, balls to bones. So when my eyes first cast its gaze across this Seagull 1963 chronograph, against all odds, at least when it comes to products from China- I knew I was head over heels in love. Luxurious looking with applied gold arabic hour markers reminiscent of a Zenith Port Royale, I was at odds to call it an affordable luxury watch. Nothing luxurious can come from China right? Wrong – many designer brands have production facilities there but I digress – at USD339, this designer watch is an outright steal. Tianjin Sea-Gull produces a quarter of the world’s mechanical watch movements, and has been manufacturing watches and movements since 1955. 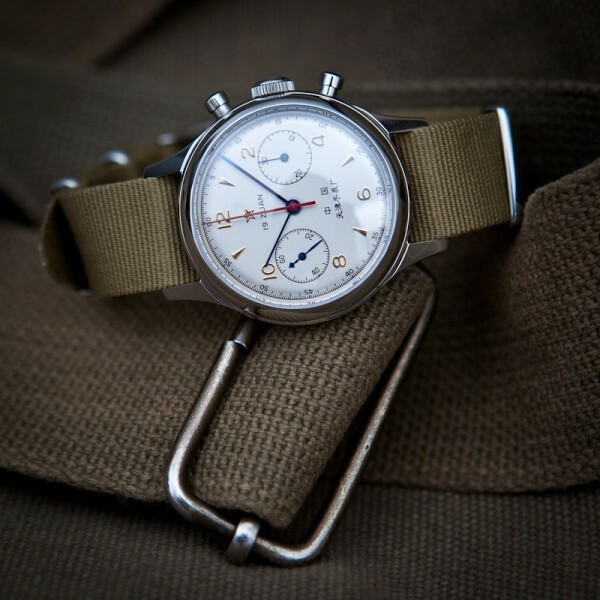 The Seagull 1963 is named for the year that the Tianjin Watch Factory, China’s first watchmaker, launched an assignment code “304” Chinese Aviator’s Chronograph for the pilots of the People’s Liberation Army. 38 leaders and experts from the Ministry of Industry, air command and naval equipment supervisors put the watch to the test and after receiving top marks, order mass production of 1400 of these timepieces for the Chinese Air Force. Immensely rare, the watch became a sort of Holy Grail for knowledgeable collectors and today, thankfully within wallet reach of us working class types. This official remake recreates the best of 1960s chinese horological excellence with a few improvements:Hand wound chronograph with 19 jewels (chinese: zuan) and with over 40 hours power reserve, this special edition comes with both equipped steel and sapphire case back. The Chinese pictographic symbols on the dial spell “China – Tianjin Watch Factory”. I’m not ashamed to say that this is one Chinese timepiece I would gladly own and show off. The laser engraving reads “Tianjin Watch Factory” with the words “China” separated by the communist star. Tianjin Sea-Gull produces a quarter of the world’s mechanical watch movements, and has been manufacturing watches and movements since 1955. This one is exceptionally well finished for a Chinese manufacture. Production did not begin because there was a lack of watch tooling equipment. The Venus Watch Company, Switzerland, were wanting to offload the calibre 175 chronograph tooling to raise capital for development of their calibre 188. The USSR were not interested, but the Chinese were. The 175 was purchased for Project 304. In 1961 the Ministry for Light Industry received the order to develop a new ‘aviator’s watch’ for the People’s Liberation Army Air Force. This was designated Project 304. 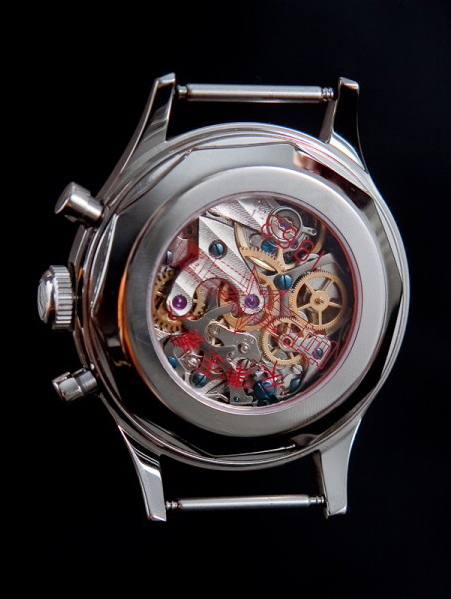 Around this time a seconds-only chronograph version of the ST-2A was prototyped, but it did not enter production. ← Getting Railroaded Isn’t Always a Bad Thing.